Description: Society For Education In Film And Television, 2005. First Edition, Softcover. Very Good Condition. 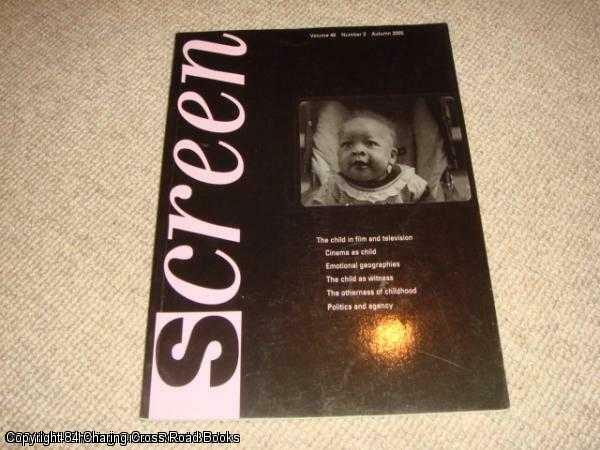 VG- 2005 issue of Screen - pencil notes to fly-leaf and pencil notes to first essay else VG - terrific collection as always, articles on the child in film and TV, including by Emma Wilson. Several others in this series available. Sent Airmail at no extra cost; Quantity Available: 1. Pictures of this item not already displayed here available upon request.